If the news reports are true, it sounds like the housing market is rising from the ashes. Or, something like that. The point is, the housing market is in recovery and oodles of agents are buzzing around scheduling open house events and touching base with old clients. So, who’s ready to buy a house?! (Said in our Oprah voice.) If only it were that simple. We hate to be a downer, but, as an inbound marketing agency that is chock full of expertise, we can tell you that warm calls, open houses, and simple flyers don’t really count as “marketing” anymore. Statistics show that the modern consumer researches just about everything via the Internet, real estate included. So, we’ve put together some ideas to help you build a successful brand that stands apart from the masses of other agents who may or may not be marketing like it’s 1997. More and more agents are using creative, professional-quality videos to build their brands, and, no, they aren’t using slideshows set to music or ultra-salesy “Meet the Agent” videos. In creating “Meet the Agent” videos, consider your personality and specific strengths and how you can show them off in a creative, professional way. Have a great sense of humor? Specialize in a certain kind of real estate? Think about fresh ways to communicate these talents with potential clients. Another way to brand yourself is to create video testimonials, which will allow prospective clients to get to know you from a different angle. Showcasing your clients’ listings is equally important to your branding endeavor. Like we said, slideshows and 360-degree videos are stale and outdated. However, if your marketing budget is relatively small, be encouraged that you don’t need to hire a whole production crew to create nice-looking videos. If you have an eye for this sort of thing, consider setting up a tripod and recording them yourself. If that sounds too intimidating, hiring a single videographer who can create and edit videos for several listings can be more affordable that you think. Thanks to the big name search engines, digital marketing is all about content. This means that your website should be regularly updated with original, relevant, and useful information. A lot of agents like the idea of content marketing because it’s free if you write it yourself. But, perhaps more importantly, it’s also a way to remain in front of your clients (or prospective clients) in a way that isn’t bothersome. You see, with content marketing, the idea is to provide helpful information that addresses clients’ problems and interests—consider it selling by educating. If done correctly, content marketing is a way to prove yourself as a trusted expert. 3. Make your site mobile-friendly. Statistics show that the number of people surfing the Internet on their phones, iPads, and other hand-held devices, like Kindles, rivals the number of people using their PCs. What does this mean for you, the marketer? It means that your site needs to be easily accessed from mobile devices. How does your site look and navigate from your phone? If it needs updating, you’ll want to implement a responsive template, which will unify your site across devices and make for easy mobile navigation. 4. Do your SEO keyword research. You already know that the goal of any SEO strategy is move your website into the one of the top spots in search listings. Ok, but how do you do that? It’s a complicated endeavor, for sure, but there are a few things you can do yourself. • Choose some of the less-obvious search terms (not “rentals” or “real estate”) that are relevant to your clientele but aren’t in heavy rotation on other sites. • Take advantage of Google’s “Related Searches” tool. This will identify several keywords and phrases that are related to your main search terms. • Dig a little deeper with Google’s “Adwords” feature. There are lots of features that determine a website’s search ranking, but these are a few ways to give you a little extra insight. 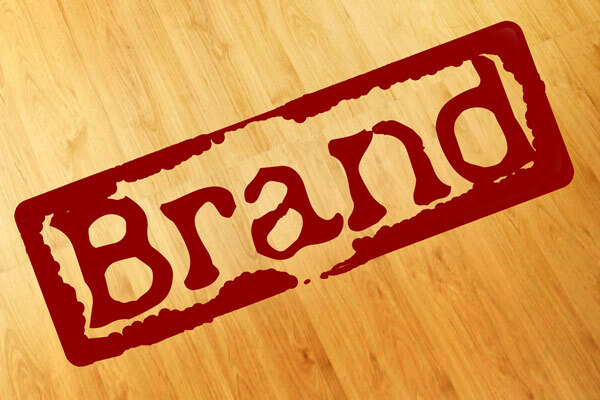 Thinking of really upping the ante for branding, marketing, or SEO?